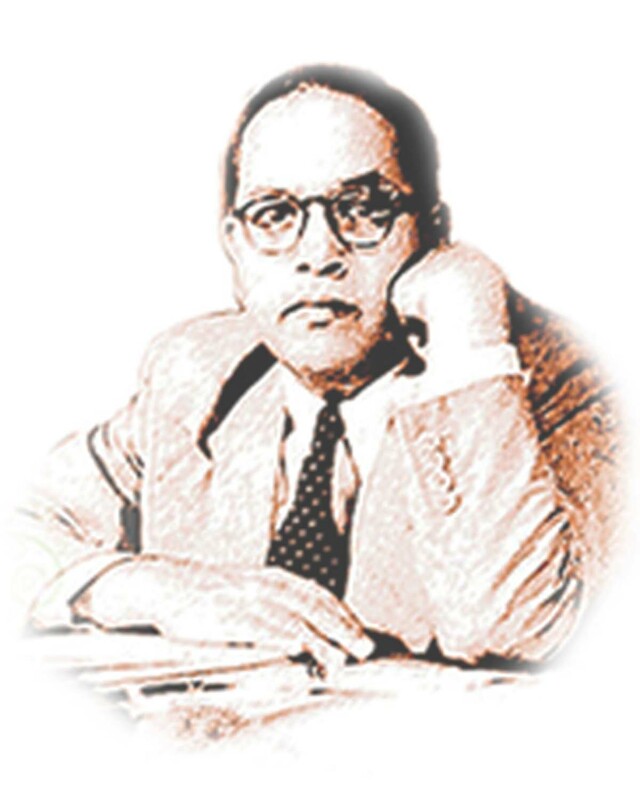 Ph.D. in English Literature from Dr. Babasaheb Ambedkar Open University, Ahmedabad. M. Phil. in English Literature from Saurashtra University, Rajkot. M.A. in English Literature from Maharaja Krishnakumarsinhji Bhavnagar University, Bhavnagar. B.A. In English Literature from Maharaja Krishnakumarsinhji Bhavnagar University, Bhavnagar. July 2013 onwards- Professor in English and Director, School of Humanities and Social Sciences, with Babasaheb Ambedkar Open University, Ahmedabad, Gujarat. July 2009 to July 2013 – Faculty of Teaching and Head of the Communication Department at Marwadi Group of Institutes, Rajkot affiliated to Gujarat Technological University. September 2007 to July 2009- Faculty of English and SCOPE Coordinator with Shree. M. N. Virani Science College, Rajkot (accredited with ‘A’ grade by NAAC), affiliated to Saurashtra University. September 1998 to September 2007- Faculty of English with Shree R. P. Bhalodia College of Commerce, Management and Computer, Rajkot, affiliated to Saurashtra University. ‘Women’s Poetry in Pakistan- a Voice of Protest’ published in an International Journal- Ruminations. ‘Communication in English an Essential Key to Placement’ published in an International Journal of Research Studies. Theory of Communication by Harold Adams Innis in an Indexed Refereed Journal of Higher Education towards Excellence. ‘Tagore and Gandhi- a Nobel Debate’ published in ‘Expression- International Journal Multidisciplinary Journal’. ‘Effective Oral Communication Skills for Engineers in Global Arena’ in ELT VIBES; International E-Journal for Research in ELT. An article has been published in Souvenir of Special Rajkot District. "Freedom Struggle: A Critical Study of Selected Literary Works" Published by ADM publication. Presenting a Paper in an International Conference on Once Upon a Time- Portrayal of Women Characters in Fairy Tales and Indian Children Stories at Rajkot (March 29- 31, 2010). Presented a Paper at International Conference at V.V. Nagar, Gujarat on Communication Skills in English; A Razor Edge in Placement. Presented a paper on Dialogic Tradition in India, with special reference to ‘Argumentative Indian’ by Amartyasen at International Conference by CUG, Gndhinagar, Balavant Parekh Centre for General Semantics and Other Juan Sciences, Baroda and The Forum on Contemporary Theory, Baroda. Presented a paper on Screen: A Place for the Amalgamation of Indian and Canadian Culture- on 28-29 December 2013 in an International Conference organized by ICSC at Bhavnagar. Invited and chaired a session at International Conference Department of English, Saurashtra University, Rajkot. Invited and delivered a Keynote address on 26th September 2014 at New Arts and Commerce College, Shevgaon, Maharastra. Presented a paper on Emerson and Indian Philosophy at Choksi Commerce and Arts College, Veraval. (March 28, 2009). Presented paper on Role of Education in Women Empowerment at Surat in a National Conference. (February 13- 14, 2010). Presented a Paper in a National Level Conference on Media, Language and Literature at Jetput, Gujarat with the title Use of Literary Words in Media. Paper presentation at PDPU, School of Liberal Studies, Gandhinagar in a National Symposium on Indian English Literature into Film: Journey of Indian Cinema. Presented a paper on Spirit of Freedom in Poems at National Conference organized by Jasani College in affiliation with All India Women’s Conference, Rajkot. Presented a paper on Teaching in Distance Education: Changes and Challenges in a National Seminar organized by Smt. J. J. Kundalia Graduate Teachers’ College, Rajkot, Gujarat. Participated in the National seminar on Rethinking Literary Historiography in India with Reference to Gujarati, Hindi and Indian English Literature. ( February 23- 25, 2006). Participated in UGC/SAP/DRS national Seminar on Rethinking India: Voices and Visions during the Indian Renaissance on 1, 2, 3, March 2007. Participated in the National Seminar at Atmiya Institute of Management, Rajkot on Indian Ethos and Values for Management held (September 19- 20, 2008). Participated in the National Level seminar on Emerging Trends in Medical Plants Based pharmaceuticals at Atmiya Institute of Pharmacy as a cultural convener. (29th February and 1st March 2008). Attended a workshop on ‘Innovative Teaching Methods & Techniques’ organized by Shri Jasani College & Saurashtra Univerisy English Teachers Association, Rajkot. Participated in UGC/SAP workshop on Translation Indian renaissance Poetry from Gujarati and Hindi into English on December 22 & 23, 2006. Participated in English Teaching workshop on Communicative English through Multiple Intelligences on April 28-29, 2007, organized by the Institute in collaboration with American Centre, Mumbai. Attended Workshop on Communication Skills organized by Nirma University, Ahmedabad. Participated in one day design workshop of "Swami Vivekananda Contributor Personality Program” organized by GTU, Ahmedabad on 30th June 2012. Participated in two days Faculty Development Program of "Swami Vivekananda Contributor Personality Program” organized by GTU, Ahmedabad on 10-11 December, 2011. Participated in Faculty Development Program of "Swami Vivekananda Contributor Personality Program” organized by GTU, Ahmedabad on 22nd September, 2012. Organized Faculty Development Program of "Swami Vivekananda Contributor Personality Program” as a Coordinator organized by GTU, Ahmedabad on 122nd September, 2012. I have been selected and appreciated as a star faculty of CPD (SVCPP) subject under GTU. Participated in One Day Workshop on ‘ICT in University’ conducted on 25th July, 2012, organized by ASC Rajkot, Saurashtra University and Sponsored by IQAC & UGC. I designed, organized and conducted a Certificate Course for Professional and Technical Students on ‘Literature to Movie; A Journey from Page to Screen’. I have successfully attended and cleared exam of Internal Auditor Training on ISO 9001:2000 under guidelines for Auditing Quality Management System ISO 10011- part 1/2/3 1990/91 held on 17-18 April 2006. Invited and delivered 2 sessions on the topic "Dynamics of Teaching’ at Academic Staff College, Rajkot in an Orientation Course. (On 25th December 2013). Invited and delivered 2 sessions on ‘The Concept of ‘New Womanhood’ at Academic Staff College, Rajkot, in an Orientation Course. (On 25th December 2013). Invited and delivered 2 sessions on ‘Role of Emotional Intelligence in Teaching and Learning’ at Academic Staff College, Rajkot, in an Orientation Course. (On 24th December 2013). Invited as a resource person and delivered sessions on ‘Adaptation of Literature in Other Avenues of Knowledge’ at Academic Staff College, Saurashtra University, Rajkot. (2 sessions on 19th March 2014). Invited and delivered in the Orientation Program at UGC ASC Rajkot, Surashtra University on the topic ‘The Concept of New Womanhood’ for 2 sessions on 18th June 2014. Invited and delivered expert talk as a resource person in the Orientation Program at UGC ASC Rajkot, Surashtra University on the topic ‘The Dynamic of Teaching’ for 2 sessions on 18th June 2014. Invited and delivered expert talk as a resource person in the Orientation Program at UGC ASC Rajkot, Surashtra University on the topic ‘The Role of Life Skills in Teaching and Learning’ for 2 sessions on 19th June 2014. Invited and delivered expert talk as a resource person in the Refresher Course at UGC ASC Rajkot, Surashtra University on the topic ‘Curiosity and Creativity; Pillars to the Researching Mind” for 2 sessions on 19th December 2014. Invited and delivered expert talk as a resource person in the Refresher Course at UGC ASC Rajkot, Surashtra University on the topic ‘The Concept of Classroom without Walls” for 2 sessions on 19th December 2014. I was invited and so offered my service as External Evaluator for 2 sessions of Presentation at Academic Staff College, Gujarat University, Ahmedabad. Invited and offered my service as an Expert for Research Progress Review of Ph.D. Research Scholars for Humanities on October 11, 2014 at C. U. Shah University, Surendranagar, Gujarat. Invited and offered my service as an Expert for Research Progress Review of Ph.D. Research Scholars for Humanities on 21st April 2014 at C. U. Shah University, Surendranagar, Gujarat. Invited and offered my service as an Expert for Research Progress Review of Ph.D. Research Scholars for Humanities on 23rd April 2014 at C. U. Shah University, Surendranagar, Gujarat. Invited and offered my service as an expert for Personal Interaction for aspiring Doctoral Candidates as part of National Level Doctoral Eligibility Test (CUSET) on August 30, 2014. Invited and delivered 2 sessions as a resource person at N. P. College of Computer Studies and Management, Kadi, Gujarat on 19th November, 2014. Invited and delivered as a Keynote address on 26th September 2014 at New Arts and Commerce College, Shevgaon, Maharastra. I was invited and offered service as a subject expert for the interview conducted at Marwadi Education Foundation Group of Institutes. Invited and offered my service as a Subject Expert for Curriculum Development for Common Syllabus by Department of Higher Education-Knowledge Consortium of Gujarat Government. Invited and offered my service as a resource person at C.U. Shah University, Surendranagar, Gujarat on 11th October 2014. Invited and attended SCOPE Content development Workshop on 19th July 2014 at KCG. Invited and offered my service as an expert for Ph.D. review committee on 22nd April 2015. Delivered an Expert Talk at Yogidham Gurukul, Rajkot. Delivered an invited talk in a talk show on Doordarshan under the topic of ‘Contribution of Women in the Maintenance of National Integrity’. I have offered my service as AAA team visiting a college in Dabhoi in Gujarat. An Orientation Course successfully completed held by Saurashtra University Academic Staff College. A Refresher course, held by Saurashtra University Academic Staff College from 15/03/2004 to 04/04/2004, successfully completed with ‘A’ grade. A Refresher course, held by Saurashtra University Academic Staff College from 02/03/2009 to 22/03/2009, successfully completed with ‘A’ grade, March, 2009. Doctoral Guide ship of 3 Universities. Member of IQAC at Dr. Babasaheb Ambedkar Open University. Examination Disciplinary Committee member 2013, 2014 and 2015. Life time membership of Gandharva Mahavidyalaya Mandal, Mumbai.